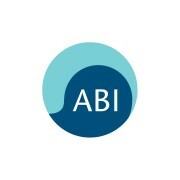 The ABI (Association of British Investigators) has again called on the Government to fulfil its commitment, made three years ago after the Leveson inquiry, to introduce a licence and make it illegal to operate as a Private Investigator unlicensed. It appeared regulation would be introduced after the Leveson inquiry into press ethics and practices, which included the licensing of Private Investigators. ABI members, of which there are currently about 500, are required to have clean criminal records and professional indemnity cover, and the ABI has its own disciplinary process in place. Following an inquiry by the Home Affairs Select Committee, in July 2013, the Government announced its intention to regulate the activities of private investigators by requiring them to be licensed by the SIA. Eric Shelmerdine, General Secretary of the ABI, said: “There’s a photo on my desk of ABI members outside Parliament in 1952 trying to obtain some kind of statutory control of the industry. It seemed like it would finally happen after Leveson, but it’s gone very quiet. “I wish I knew why. I think the announcement was a knee-jerk reaction to Leveson. This Government is keen on deregulation. There are questions about how it would be policed. We’ve suggested self-regulation because the best people to police the industry is the industry itself. A Home Office spokesperson recently stated that regulation remains under consideration. He quoted; “The Government is committed to ensuring the integrity of the private security industry. An SIA spokesperson said the results of the review are expected to be published in late spring 2016.